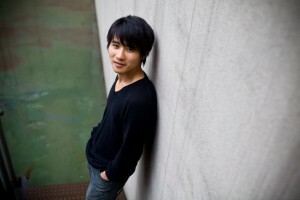 Once celebrated as the voice of China’s rebellious youth and the country’s most-read blogger, Han Han, who turns 34 on Friday, has shifted more of his energies in recent years into his career as a racecar driver, filmmaking and family life. Since 2013, he has rarely updated his blog, preferring short messages on his Weibo account, and often addressing personal issues rather than the scathing social and political criticism that made his early reputation. He writes movie scripts, song lyrics and, in 2014, he directed his first movie, the road trip comedy “The Continent.” He is working on two more films, adapted from his own novels. His range of interests is evident in a new collection of his writings translated into English, “The Problem With Me: And Other Essays About Making Trouble in China Today.” The 40 essays, the first written when he was 18, delve into the prospects for democracy in China, censorship, bureaucratic inefficiency, the role of intellectuals in society and life as a father. 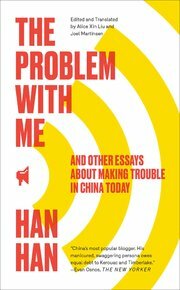 In an interview, Han Han discussed his writings, the turns his life has taken and what people in the West fail to understand about China. The theme of your book seems to be you making trouble. You’re still being called a rebellious troublemaker. How do you feel about that? I don’t think I am or was rebellious. I don’t disagree for the sake of disagreeing, as the word “rebellious” suggests. I do whatever I think is right, whatever I like and want to do. If others see me differently from the way I see myself, there’s nothing I can do about it. Media always wants to stick a label on people to make it easier for readers to remember. You don’t write on your blog so often now. Why is that? Because I’ve already written many of the pieces I needed to write and said many of the things I needed to say. I’m a person who does more than talk. Thanks to the internet, people tend to speak and comment more. There are fewer and fewer people who actually do things. I devote time to professional motor-racing because you can’t achieve anything in this sport just by talking. It’s the same with making movies. I’m trying to realize my childhood dreams one by one. Some people expected you to be like Lu Xun, the early-20th-century writer who drew people’s attention to society’s problems. But you’ve said you’re not going to be another Lu Xun, that you don’t even like Lu Xun. I’m not going to live my life to meet other people’s expectations. When some people say I’m not meeting their expectations and ask me why not, I’m not even interested in answering. There are critics who have said you are good at pointing out the problems in society, but at the same time know where the danger lines are and try to not cross them. Have you ever practiced self-censorship? I’ve never given it much thought. All I’ve been trying to do is write interesting articles. What do you think of your early works and achieving fame so young? Of course, some things written in my early years were naïve. When I read them again now, I find I don’t always agree with some of my previous views. I think every writer has similar experiences. What bothers me most now is that so many photos and videos of me were published early on. As a writer, maybe it’s better if you aren’t recognized by strangers on the street. Then you can enjoy life itself more. What do you think of the environment for literature and free speech in China today compared with 10 years ago? The environment for free speech in China has always been unstable, sometimes looser, sometime tighter, and you never know what might cause a problem. But, generally, with the development of society and the flow of information, it’s getting better. Are you proud of being a public intellectual in China? I consider myself an intellectual, even though I never finished high school and don’t agree with many public intellectuals on some issues. Because of the popularity of online social networks, it’s really easy to make your voice heard today. And because some public intellectuals aren’t careful enough with their comments, many people are quite disgusted with them. Intellectuals are definitely needed to make the world better, but only the superior ones. Do you think Chinese millennials don’t care enough about history and politics? In the West, a lot of people have the wrong idea that, because of the “Great Firewall,” Chinese don’t know what’s going on in the world. The West imagines that young Chinese are much less informed than they actually are. In China, especially in mid-sized and large cities, people know much more about politics, history, the news than many Westerners realize. Of course, Chinese people’s views on many issues are very different from those in the West, but that’s not the result of a lack of information. Even if every American website could be accessed here in China, Chinese would be just as nationalistic, or even more so. What do you think of the nationalism embraced by some younger Chinese today? Nationalism is part of online culture all over the world, and I think everyone is nationalistic to some degree, more or less. But nationalism is stronger among young Chinese people today. Maybe because of China’s economic development — even if people themselves don’t really benefit from it — they think they’re more powerful, and so are mandated to take over Taiwan and subdue Hong Kong. But their assertiveness only generates more and more resistance from people in Taiwan and Hong Kong. The more forceful they are, the greater the disagreement. The true power of a nation lies in tolerance.